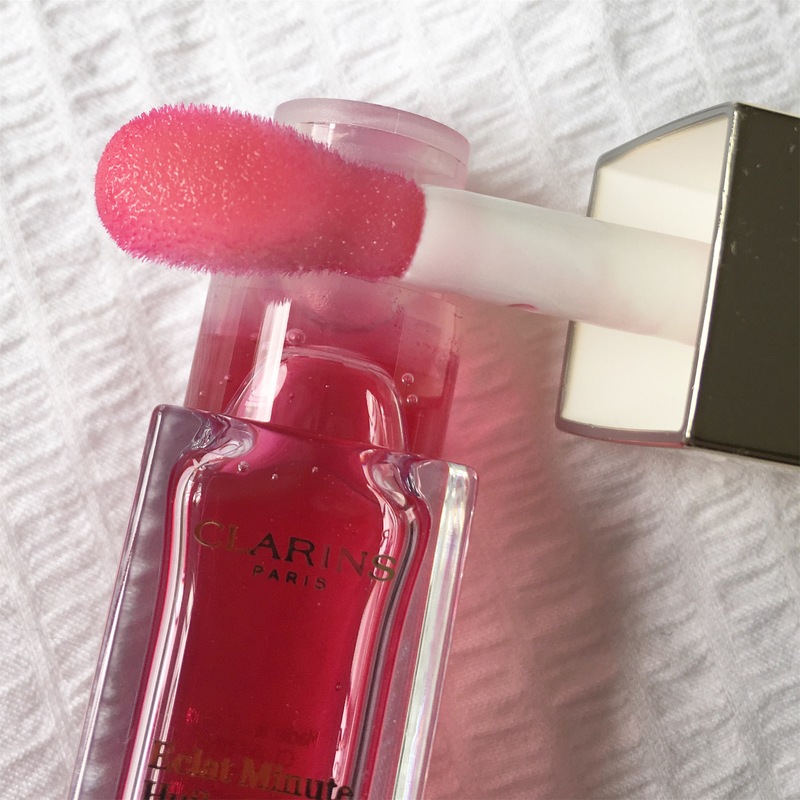 A few weeks ago in my Airport Beauty Haul, I picked up one of the Clarins Lip Oils to try out. I’ve seen a lot of bloggers talking about these recently, and I’m a big fan of Clarins products so I decided to try it out for myself. What I didn’t know at first was that the Lip Oil comes in three different flavours, 01 Honey, 02 Raspberry and 03 Cherry. 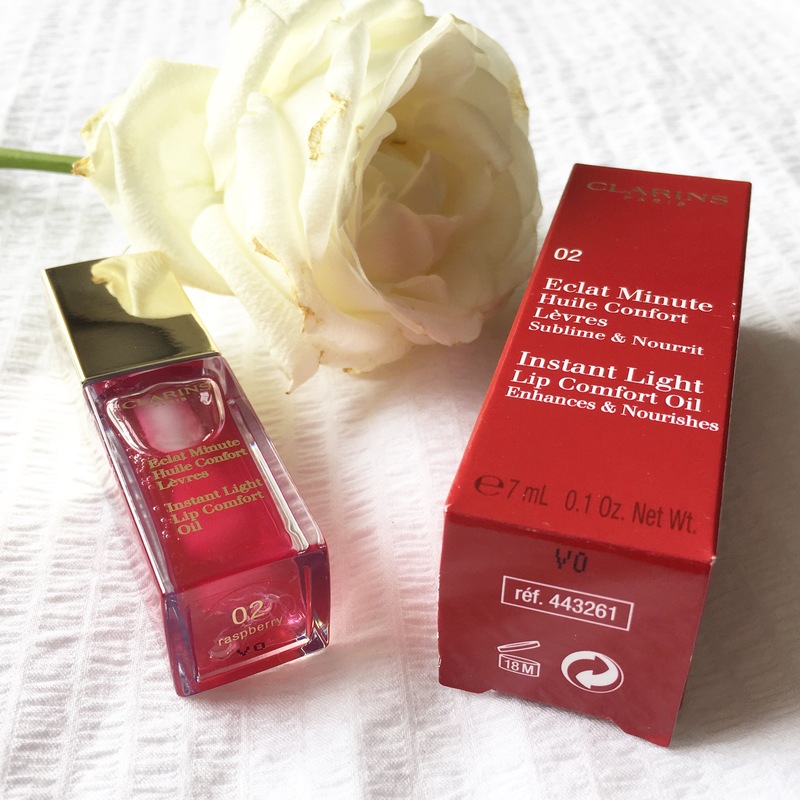 When I initially went to the Clarins counter I was planning on getting what I thought was the only lip oil – the gold one. Don’t ask me why I thought it was just a ‘gold oil’, maybe because a lot of oils tend to be that colour. But obviously I was pleasantly surprised to find there was a choice of options. 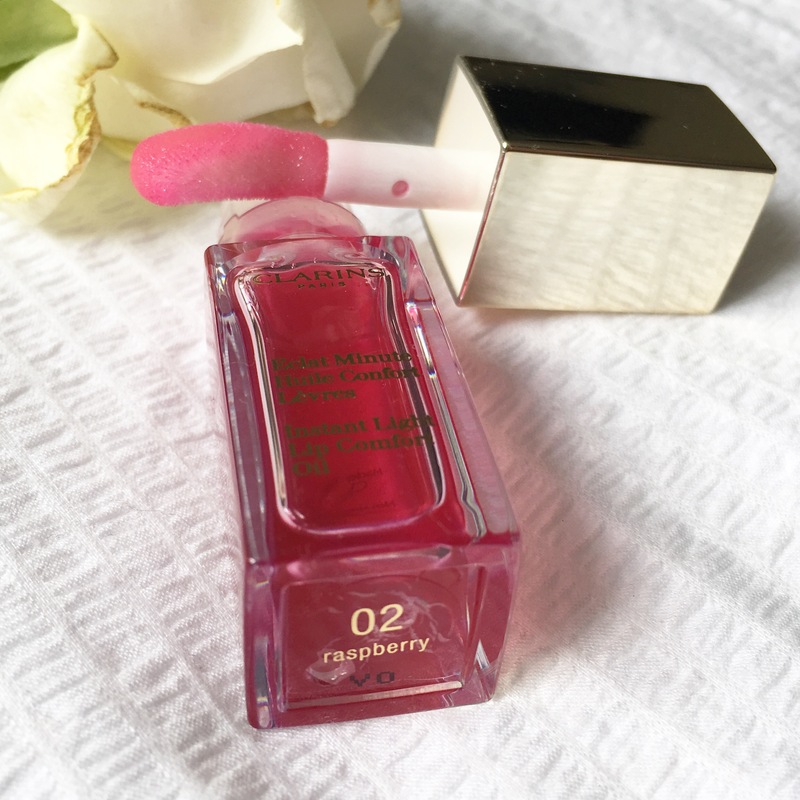 Although initially I had planned on going for what turned out to be 01 Honey (gold in colour), I ended up choosing 02 Raspberry. I had wanted a clear oil, but the girl assured me that the oils didn’t really have any pigment and that the flavours were more about the scent than anything else. This always seems to happen to me – I go in to buy one thing, then get so excited by all the options, I end up buying something different! Anyway, I had been so looking forward to giving this a go, especially after hearing Karen from Lovely Girlie Bits raving about it. Karen is one of my favourite beauty bloggers to read and follow, and always gives really honest reviews so I had a feeling I was going to be on to a winner here. And I was! I’ve been using this for about two weeks now and I am absolutely loving it. Like, really loving it. My first concern with the oil based formula was that it might be too greasy or too sticky but it’s neither of those things. It has the most wonderfully soft formula that glides on to the lips so smoothly, leaving a gorgeous glossy but non-sticky finish. Not only that, but once applied, it is lasting a good few hours on my lips which is always a bonus. 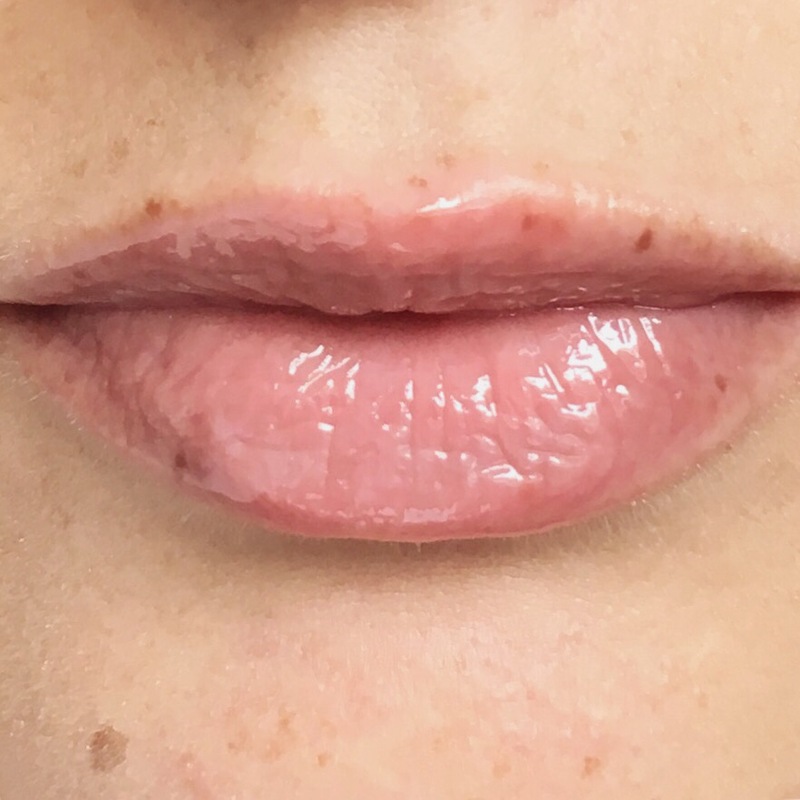 I suffer from very dry lips; unfortunately about ten years ago I got my lips very badly burnt and I’ve have suffered with dry lips ever since. Because of that, I have to be very careful about the kind of products I use. Balms and lipsticks that wear off quickly or have no staying power, really don’t cut the mustard for me as I need to keep my lips constantly moisturised and hydrated throughout the day. But none of that was an issue with the lip oil and Clarins has really lived up to the hype here for me. 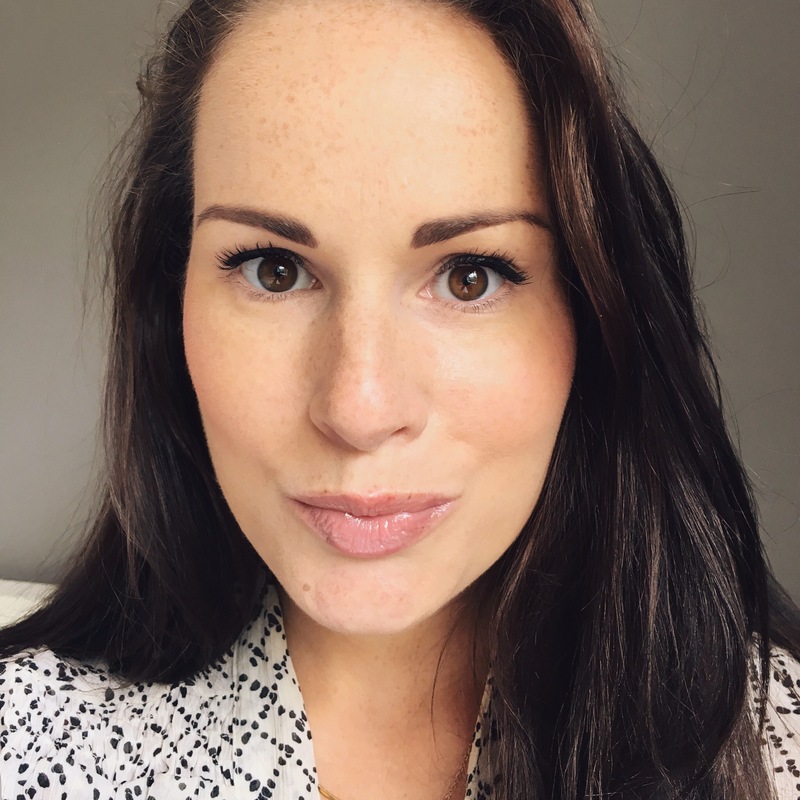 It has definitely become my product of the moment – we all know I love lip products – but this has just shot straight to the top of my lip list! I picked mine up in Dublin Airport for €16 on special, but the regular retail price is €21. I’ve yet to discover how long the bottle will last, but so far it’s seeming like very good value for money. So much so, I’m contemplating buying the Honey version this weekend when I’m back in the airport. 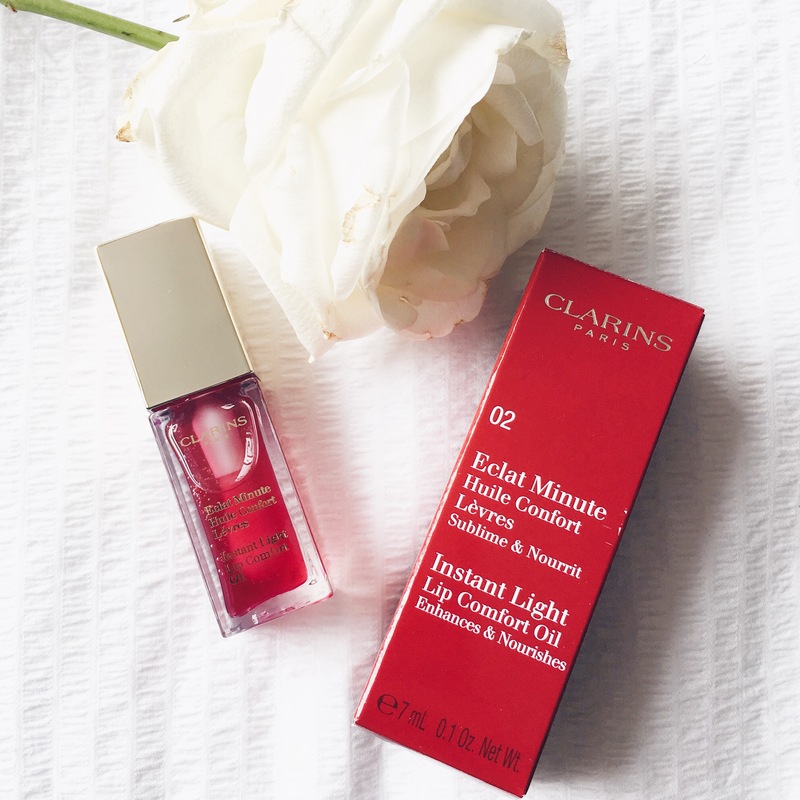 Take a bow Clarins, you’ve done it again!